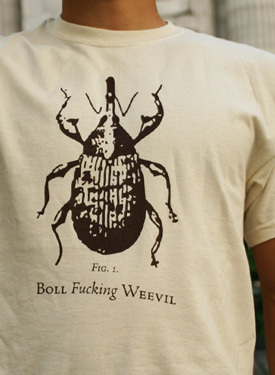 The boll weevil isn’t your average beetle. 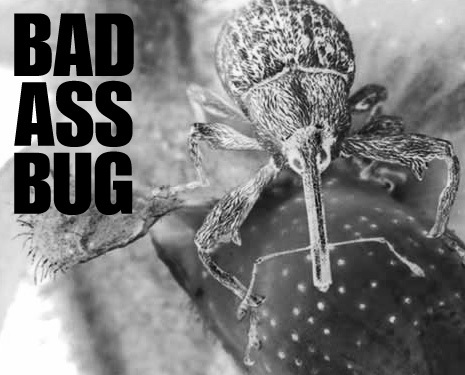 This 6mm insect has been wreaking havoc on cotton crops in the US since the 1920s and still causes about $300 million worth of damage each year. Sometimes, a badass bug like this deserves recognition. Printed on Gildan 100% Heavy Cotton. Available in S, M, and L.
You'll be taken to the product page at the Barrel Shop.